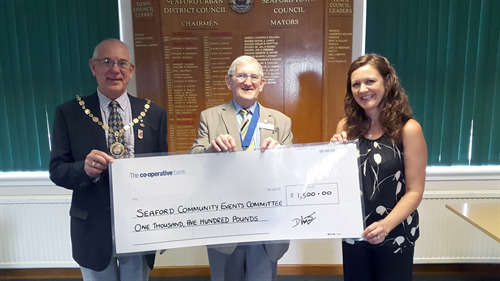 Seaford Town Council is pleased to announce that it has been able to award large financial grants to nine local organisations. 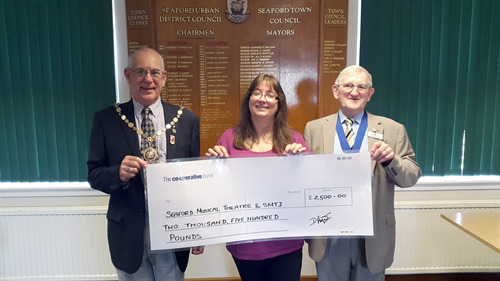 Large grants are those that amount to over £500; the total awarded for large grants this year has been a staggering £21,700, all of which will be directly benefitting the residents of Seaford and the town itself! 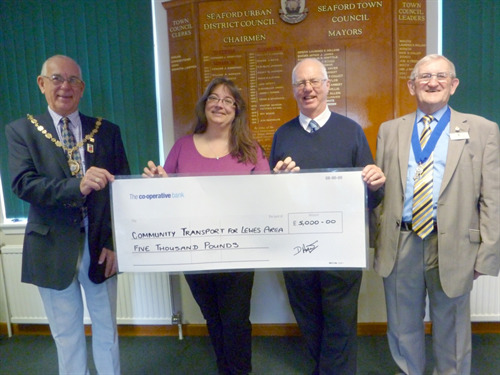 Lewes District Citizens Advice Bureau was awarded £5,000 to contribute to its running costs, Community Transport for the Lewes Area received £5,000 to assist with funding its Dial A Ride Service for two additional days a week and Seaford Musical Theatre and SMTJ were awarded £2,500 to contribute to electrical repairs at The Barn Theatre. 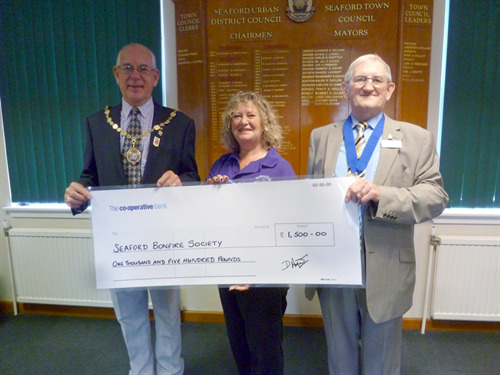 Seaford Allotment & Leisure Garden Society were awarded £2,000 to purchase a composting toilet to replace the current chemical toilet, Seaford Bonfire Society were granted £1,500 towards the provision of public safety requirements and St Wilfrid’s Hospice received £1,950 toward the purchase of pressure relieving cushions for patients at risk of medical sores. 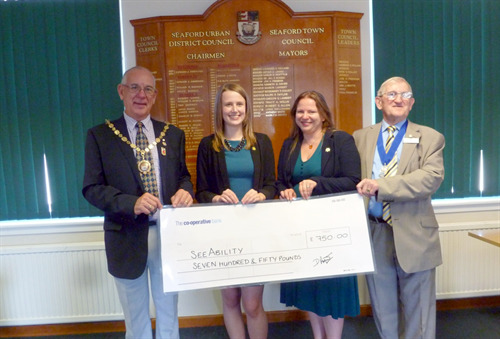 Seaford Community Events Committee were given £1,500 to cover the costs of the event support for the Seaford Motorfest event, SeeAbility were awarded £750 to assist with the refurbishment of the garden at The Bradbury Centre, which is a specialist skills facility, and Waves Seaford Ltd were granted £1,500 to fund specialist counselling support for clients in need. 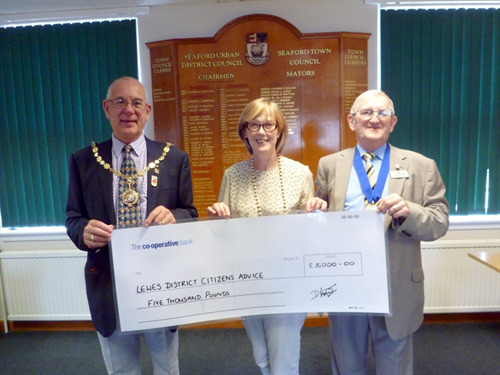 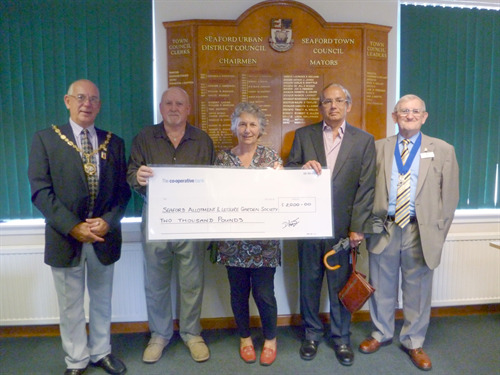 The Mayor of Seaford, Councillor Dave Argent, and the Chairman of the Finance & General Purposes Committee, Councillor Mark Brown, both welcomed representatives of these organisations to the Council Chambers to present them with the grant cheques. 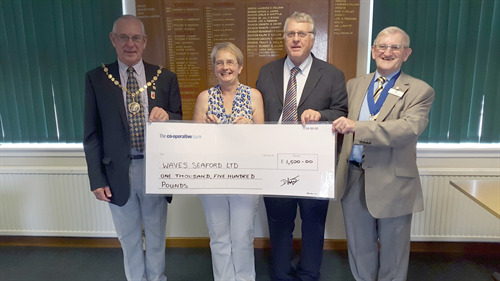 The next grants process will commence in February 2016. 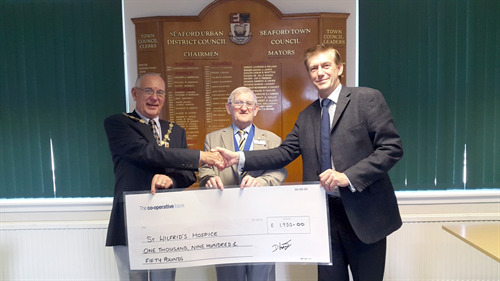 If you would like your organisation to be included on our register then please email Lucy Clark, Support Services Manager; lucy.clark@seafordtowncouncil.gov.uk (all previous applicants will be automatically registered).